This text studies fundamental algebraic structures, namely groups, rings, fields andmodules, and maps between these structures. Paper or electronic copies for noncommercial use may be made freely without explicit permission of the author. All other rights are reserved. 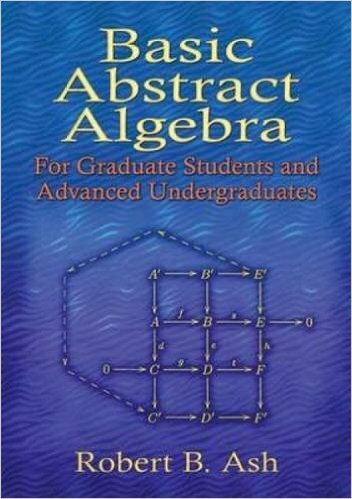 This is a text for the basic graduate sequence in abstract algebra, offered by most universities. This text studies fundamental algebraic structures, namely groups, rings, fields and modules, and maps between these structures. The techniques are used in many areas of mathematics, and there are applications to physics, engineering and computer science as well. In addition, this text attempts to communicate the intrinsic beauty of the subject. Ideally, the reasoning underlying each step of a proof should be completely clear, but the overall argument should be as brief as possible, allowing a sharp overview of the result. These two requirements are in opposition, and it is the mission of this text to try to resolve the conflict. 1. The concrete or numerical example with all features of the general case. 2. Brief informal surveys of large areas. 3. Intuitive arguments that replace lengthy formal proofs which do not reveal why a result is true. Solutions to all problems are included in the text; most students will find this to be a valuable feature. The writing style for the solutions is similar to that of the main text, and this allows for wider coverage as well as reinforcement of the basic ideas. Robert B. Ash (1935-2015) is Professor Emeritus of Mathematics in the Department of Mathematics at the University of Illinois. 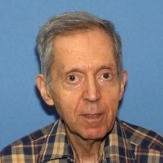 He was an Assistant Professor in Electrical Engineering at Columbia University and then a Visiting Assistant Professor at the University of California, Berkeley, before coming to the University of Illinois Department of Mathematics in 1963. He retired in 1990. Bob wrote thirteen textbooks but he was most proud of the eight books he posted on his web page during his retirement that were available for free downloading.